Chasing ‘T G Earl’, one of the more elusive names on our war memorial has been quite a job. But what a privilege to have been involved in the hunt to find something out about Thomas George Earl ‘A very gallant Welshman’. Dorothy established his double gallantry medal-winning feat almost a year ago and although he appeared to be living in Bath we soon worked out his Battersea origins. He may be one of 1,174 names on the main Bath First World War memorial but its taken a long time for us to be reasonably sure that he is one of the 182 names on the St Mary’s Church memorial in Summerstown. Since then a bevy of genealogical brains from Preston to Sevenoaks, from Rogers Road, Tooting to The British Library have mulled over his career. He might possibly have lived for a period in Ravensbury Road but it is the residence of his brother Henry at 11 Summerstown that makes us think he’s our man. Henry Earl, a laundry carman married Lucy Barbary, the sister of another of the Summerstown182, John Barbary in March 1906 and was still living in the road at No7 in 1929. Both addresses would have been just across the road from The Corner Pin. Very much the hub of Summerstown life at that time, the deeds of the Bath Buffalo would have been well known. His presence on the St Mary’s war memorial is another example perhaps of someone putting up a case for a relative whose own connection with the area may have been vague. One thing for sure though, Thomas Earl was a courageous soldier with one of the best documented millitary careers of any of the Summerstown182, being awarded a Distinguished Conduct Medal and then a bar. ‘For gallantry in the field in the face of the enemy’ this is one of the army’s highest awards for bravery, widely considered second only to the Victoria Cross in prestige. He had already been a serving soldier for twelve years before the First World War, with action in India, the Zulu rebellion and the Boer conflict in South Africa. Born in 1877, he was one of eight surviving children of Eli and Ellen Earl. The family home of at least twenty years was 28 Warsill Street, south of Battersea Park Road but now lost beneath the sprawling Doddington Estate. A sister Emily married a music hall printer called John Bertram Cleaver and moved to Bath. In 1911 they were living at 18 Bridewell Lane, the address given as the home of Thomas Earl when his exploits gained him some newspaper coverage in the Bath Chronicle. He first appeared in October 28th 1916 with a full account of his bravery at Richebourg on May 9th 1915. A week later his photograph was in a prominent position on page nine, one of twelve local men whose heroism was considered worthy of a pen picture. One of them, a Private Scudamore, had been wounded 24 times. This is only the second case we have seen of an image of a member of the Summerstown182 being recorded in the press. However this is not the only public reference to him – through Twitter I got in touch with Michael Day at The British Library who uncovered an item about Thomas Earl in the journal of the ‘Orders and Medals Research Society’. An article which was published in 1994 by Robert Mansell is entitled ‘A very gallant Welshman’. The author believes that Thomas Earl is one of only two soldiers in the Welsh Regiment to have been awarded the DCM twice. Initially a seaman, Thomas George Earl joined the Welsh Regiment, 41st and 69th Foot in March 1894. In 1896 he saw service in India and six years later fought in the Boer War. He was discharged in March 1906 and remained in South Africa, serving in the Zulu ‘Bhampatha’ rebellion as Trooper Earl of the Natal Carbineers, for which he would have received the Natal Medal. This conflict would have seen spears and shields made of cow-hide pitched against rifles and cannons, with predictable results. The Bhampatha rebellion is now widely viewed as the first real black resistance against colonial oppression and the moment when the seeds of black consciousness were sown. At some point Thomas Earl returned to the UK and by August 1914 he was married and living in Barry Dock, South Wales. Thomas entered France on 3rd December 1914 with the 2nd Battalion of the Welsh Regiment. On 9th May 1915 at Richebourg L’Avoue, Corporal Thomas Earl performed his first great act of bravery which saw him awarded the Distinguished Conduct Medal. Under heavy fire he went out on five separate occasions to retrieve five wounded men, ultimately being wounded himself. As if that wasn’t enough, the citation goes on to mention how ‘On 2nd August at Vermelles, Corporal Earl accompanied by another man, left our parapet and crawled through the grass to within thirty yards of a sap occupied by the enemy. While taking observations, a party of the enemy approached to within ten yards, and when one raised himself above the grass Corporal Earl shot him, the remainder of the enemy lying flat in the grass; after waiting a short time, both men crawled back and regained our parapet. The reconnaissance was carried out with great judgment and bravery, and valuable information was gained’. 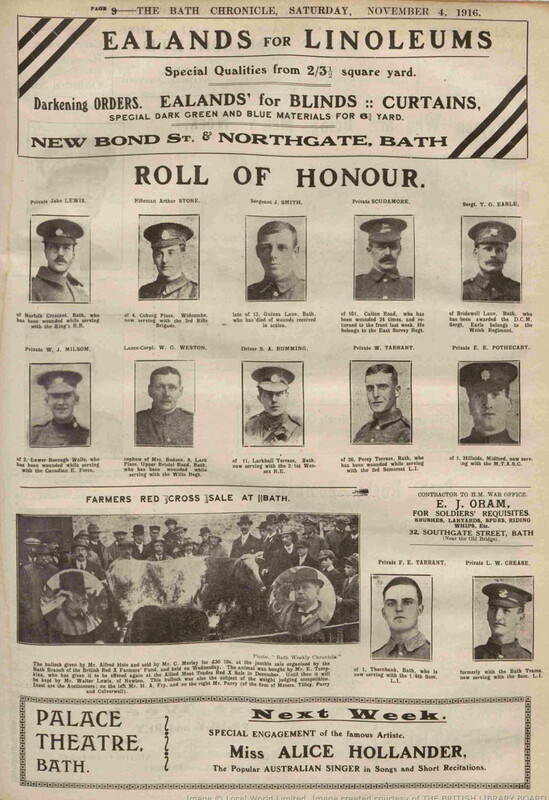 The 28th October 1916 edition of the Bath Chronicle also mentions how Sergeant Earl was decorated by his former Commanding Officer, Lieutenant-Colonel Schofield in front of his colleagues in Cardiff. It is also noted how he had become a member of the Royal Antedeluvian Order of Buffaloes, an organisation not unlike the Freemasons. Reverend John Robinson was himself a Buffalo and that kinship with a fellow Buff may again have influenced him in deciding about Thomas Earl’s inclusion on the war memorial. The addition of a Bar to this decoration was announced in the London Gazette on 28th March 1918. ‘For conspicuous gallantry and devotion to duty as a Battalion Scout Sergeant and observer during three days operations. He obtained connection with the right and centre companies both by day and night, when all other guides failed. During an attack he led a ration party to the rear company through heavy shelling and though suffering several casualties, arrived at his destination with the rations’. This happened at a stage of the war when the German Spring offensive briefly gave them the upper hand but in August 1918 the tide turned and by mid-September the allies were ready to mount an attack on the Hindenburg Line at St Quentin. This was an area that had been fought over a year previously and a battered map in an old family album shows where my Great Uncle Alan of the Inniskilling Fusiliers was wounded at a place called Savy Wood in April 1917. Wilfred Owen was also wounded in the same battle and would write about it. 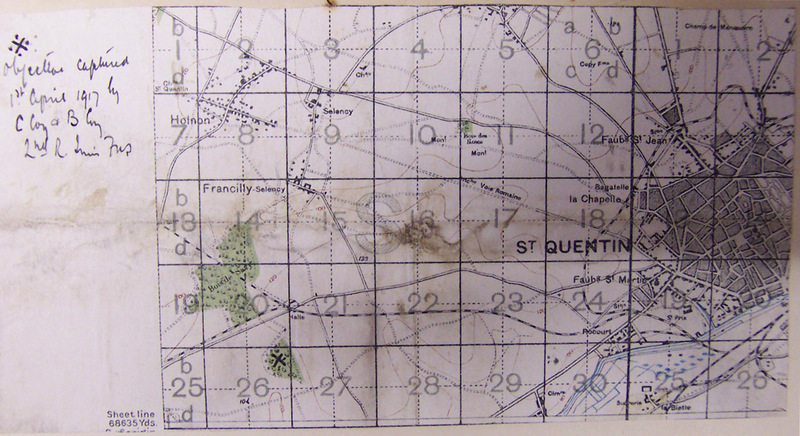 In September 1918 Fresnoy-le-Petit was one of the surrounding villages which had to be recaptured before the Germans could be driven out of St Quentin. After a number of false starts with heavy casualties inflicted by determined resistance, on the morning of 24th September, Thomas Earl and the 2nd Welsh joined 1st Glosters and the South Wales Borderers in a renewed attack on Fresnoy-le-Petit. The fighting was particularly intense at a place called Les Trois Sauvages Farm where many German soldiers trying to surrender were shot by their own side. Ninety percent of British casualties were picked off by snipers from this strong-point. By 1030pm it was finally taken but at some stage that day, Thomas George Earl lost his life. The gallant welshman from Battersea who had defended the Empire on three continents, saved those five lives, got through with the vital rations, crawled on his belly surrounded by Germans to provide crucial information and did goodness knows what else that no one was around to see, was killed just six weeks before the end of the war. He is one of only 67 identified casualties buried in the small Marteville Communal Cemetery at Attilly, just a few miles west of St Quentin, not far from where the Buffalo Soldier fought his final battle. Tucked away on the bend of Garratt Lane, just before it hits the Wimbledon Road roundabout, its sometimes easy to forget about sleepy little Bellew Street. It connects up with Huntspill Street but can’t quite match its neighbour’s peaceful ambience. If Huntspill Street is Mykonos, then Bellew Street is a Naxos or a Paros. Still a glorious destination, but just a little bit more mainstream. 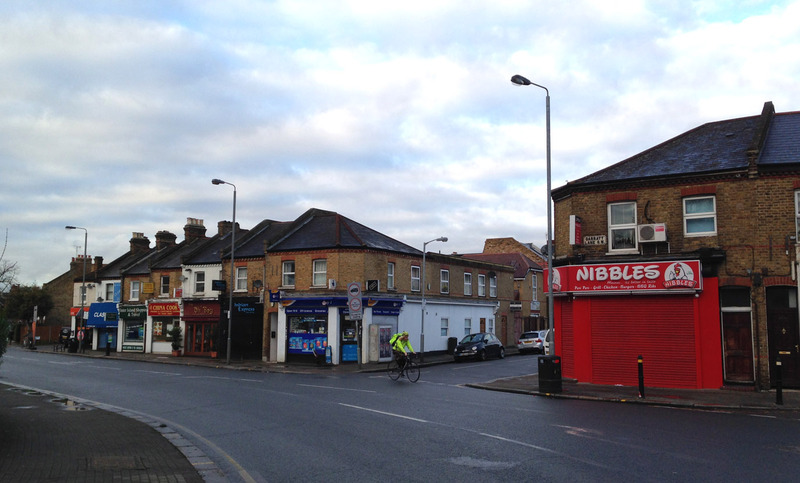 Nibbles fried chicken shop and a convenience store sit either side of its entrance, distracting the casual observer. As you enter it, half way down on the left hand side is a house that is far from ordinary. This is No18 Bellew Street, which in 1914 was the home of Ernest Arthur Hayward. Incredibly he is one of three members of the Summerstown182, each from different families to have lived at this address. All were killed in different years, first 16 year old Henry Ollive in 1915, then Ernest Hayward in 1916, finally Henry Geater in 1918. Its hard to appreciate how this little house could have had such sadness repeatedly thrust upon it. We met the current resident on one of our walks in the summer and I just hope he doesn’t read this or he might be tempted to pack up and leave. ‘EA Haywood’ on our war memorial has taken us nearly a year to work out. One of the last five names out of 182, it wasn’t a common moniker in this area and it took a long time before an Ernest Arthur Hayward emerged and suddenly seemed a possibility. It was a further three months before we established his Summerstown credentials and we are now as sure as we can be that a spelling mistake was made and he’s our man. Ernest was a journeyman tailor from Oxfordshire and like a number of other Summerstown182 his name pops up on a second war memorial, in this case another St Mary’s church in the village of Long Crendon on the Oxfordshire/Buckinghamshire border. Born in 1886, the son of Daniel Hayward a painter and labourer, Ernest was one of ten children, four of whom died. His Mother was born in Long Crendon which explains the presence of his name on the war memorial. In 1901 the family lived at Cowley and Ernest was aged 15 and working as a labourer. A local historian, Ashley Riddell advised that many young men from what was predominantly an agricultural community, needed to move away to find work. This was long before the motor car factories came to the area and many joined the army to avoid the poor house. 23 year old Ernest’s moment came on 1st April 1908 when he signed up for the 22nd Middlesex Rifle Volunteer Corps. They later became the 12th Battalion of the London Regiment, known as The Rangers. He was working as a tailor for his older brother Frederick at 28 Delvino Road in Fulham, just around the corner from the famous ‘Sloaney Pony’ White Horse pub. Ernest served in the army for a year and by 1911 was living at 56 Grosvenor Road, Fulham and still a tailor, in the employment of a William Jackson. 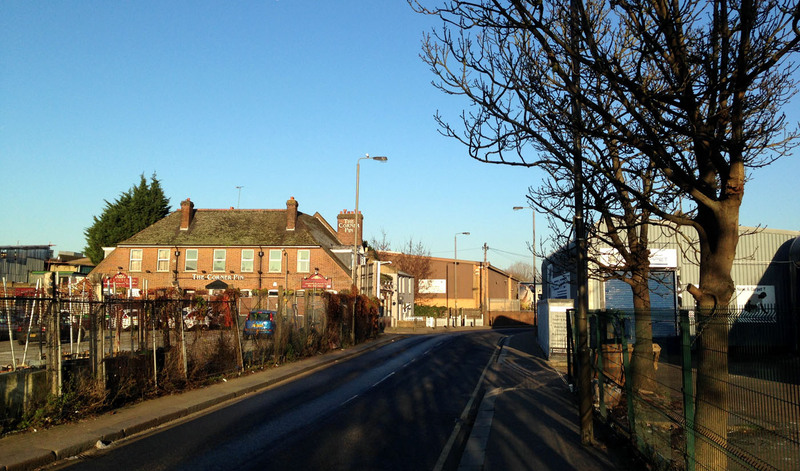 Like many other Summerstown182 families he followed the well-worn path across Wandsworth Bridge and down Garratt Lane. The key to us establishing his connection to the area was his marriage on November 30th 1914. He had moved to 18 Bellew Street and just a hop around the corner at 829 Garratt Lane lived a widow called Mary Ann Cox and her three young children. 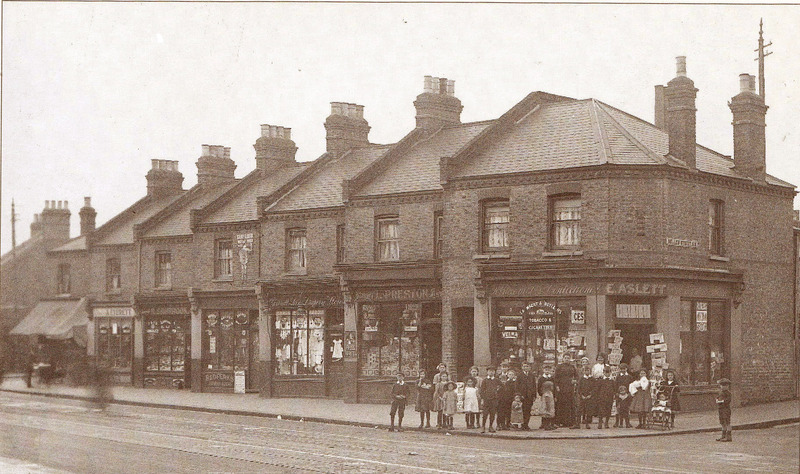 I’m not sure what Nibbles was at this time, but they may have encountered each other over the purchase of a quarter pound of brandy balls in Aslett’s sweet shop, now the convenience store at the end of Bellew Street. The above photo was taken in 1912 and the children in the group would have been roughly the same age as Mary’s. In 1911 she lived at 18 Wimbledon Road with her husband Alfred who worked as a metal turner. They had two daughters, Florence aged eight and Kate who was three and a five year old son also called Alfred. The following summer Alfred Cox senior died. Mary and Ernest had one child together, a son Albert who very sadly died the same September 1915 quarter that he was born in. Just a few weeks after Ernest and Mary’s wedding, the Rangers embarked for France and in 1915 fought at the Second Battle of Ypres and Loos. Ernest was killed on 9th September 1916 in the Battle of Ginchy on the Somme. This victory was famously inspired by the 16th Irish Division, after whom a street in the nearby village of Guillemont is named. The Rangers were in the 56th Division on 9th September, fighting alongside the Irish. 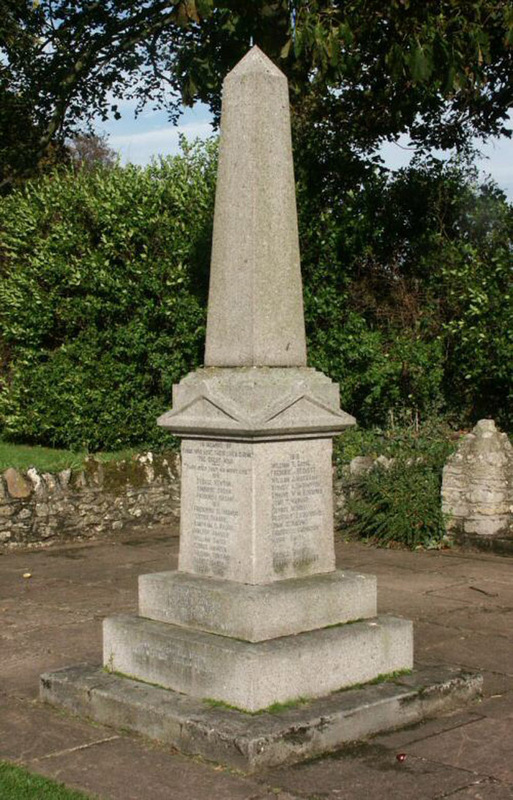 In the cemetery on the edge of the village is the grave of a sixteen year old called Horatio Nelson Smith who lived just a few streets away from Ernest Hayward and died the same day. Also on that day at Ginchy, the future British Prime Minister, Harold Macmillan lay in a shell hole in a state of semi-consciousness for ten hours before being rescued by stretcher-bearers. Ernest became yet another name on the Thiepval Memorial. As if losing two husbands in four years and a baby son wasn’t enough, Mary’s brother Douglas Clephane, aged 18 was killed in March 1916, serving with the East Kent Regiment. Mary went on to live at 28 Wimbledon Road and the electoral roll of 1970 indicates that younger daughter Kate and Alfred and his wife Charlotte were all still at the address over five decades later. The house is only a few minutes walk from the church, opposite the start of the holly hedge which borders Diprose Lodge and Burfield Close leading into the Hazelhurst estate. Neither a Haywood or a Hayward is mentioned in the parish magazines during the war years. Being an outsider coming into the area, its likely that Ernest had no connection to St Mary’s in Summerstown and his presence on the memorial was due to Mary who had lived locally for longer and in such close proximity to the church. It’s understandable under those circumstances that his name could have been mis-spelt. I’m sure she would have noticed but correcting it would have been difficult and expensive and it had already been an almighty struggle to raise the necessary funds to construct it. So, the journeyman tailor from Oxfordshire has a permanent place in the heart of this community, he’s one of the 182 and as we do our guided walks down Bellew Street, we’ll stop outside No18, reflect on the turbulent events of one hundred years ago and be glad that he found a little happiness in Summerstown. 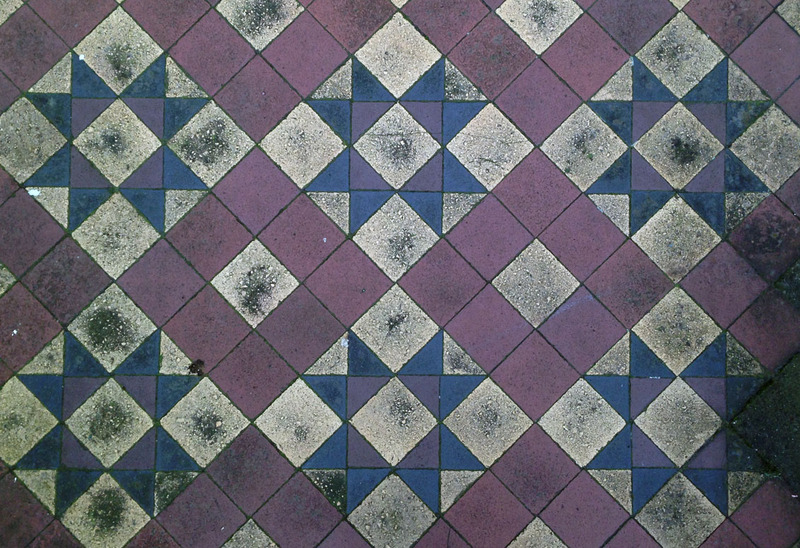 Alston road is the gateway to the Fairlight, on our guided walks we swing a right out of Smallwood Road and always stop outside Charles Barnes house at No8. We then get caught up in stories about Alfred Quenzer, the Matcham family and William Warman. Unfortunately the Baseley brothers at No18 tend to get overlooked. 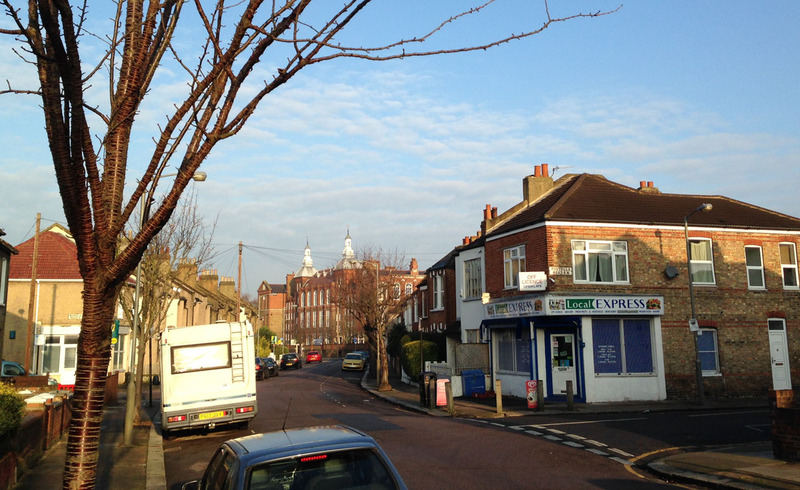 They lived next to that big bushy hedge on the right of the above photo, facing Worslade Road. But suddenly a light has shined upon them. Through the Ancestry UK website, Marion contacted Nicholas Rowe who very kindly provided information about his Great Uncles along with photographs of them both. Alfred Sylvester Baseley has always been of interest because along with his mates across the road, Messers Warman and Quenzer, he is one of only three members of the Summerstown182 who were in the 13th Wandsworth Service Battalion. That was essentially the local ‘pals’ battalion rounded up by Mayor Archibald Dawnay in 1915 in response to Kitchener’s demand for more manpower. I was surprised there were only three of them and that the 182 represent over fifty different regiments. In 1891 Daniel Alfred and Ellen Mary Baseley lived at 51 Old Town in Clapham. Daniel, who worked as a painter, slater and general labourer, was the son of a cheesemonger from the Old Kent Road. The couple shared their two rooms with three children, Francis being born in 1888. 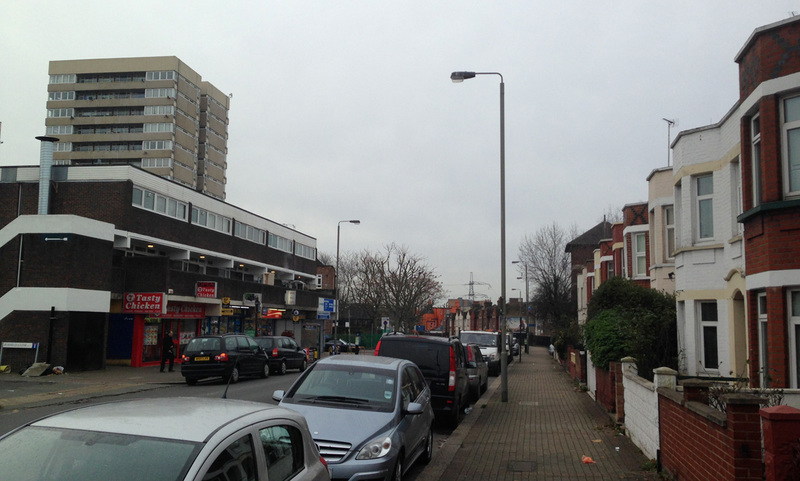 By 1901 the family were living in Brixton, in Mauleverer Road. Alfred Sylvester had arrived in 1894 and there were now six children, three boys and three girls. Ten years later they had made it over to Summerstown and were at 22 Fountain Road, the same street as the hero of the 13th Battalion, Corporal Edward Foster VC, the six foot two dustman known as ‘Tiny Ted’. Two of the younger Baseleys had departed the nest but a seventh child, Connie had appeared. Six of the children were still at home, three of them young adults. Daniel Baseley died in 1912 at the age of 44 but fortunately Francis, now 21 and Alfred 16 were both earning, with jobs as patent tool workers. We haven’t found Francis Baseley’s service record yet so its hard to know when he joined the 3rd Battalion of the Royal Fusilers. I was curious though as to why he’s wearing the uniform of a corporal in the photo when he appeared to have the rank of private. Apparently he overstayed his leave home to spend a little more time with a girlfriend. Unfortunately his amorous inclinations cost him his stripes as when he got back to France he was demoted to the ranks. Let’s hope they didn’t also cost him his marksman’s proficiency badge. In the spring of 1915 the 3rd Battalion were involved in some heavy fighting in the Messines Ridge area and their Commanding Officer, Lieutenant Colonel Guy du Maurier was killed in March, Daphne’s Uncle no less. Francis Baseley died on 12th April 1915, he has no known grave and his name is on the Menin Gate memorial in Ypres. The same day, possibly in the same battle, a Private William Morrow of the Royal Irish Fusiliers was awarded the VC for digging out six solders buried in a trench. He was killed two weeks later. 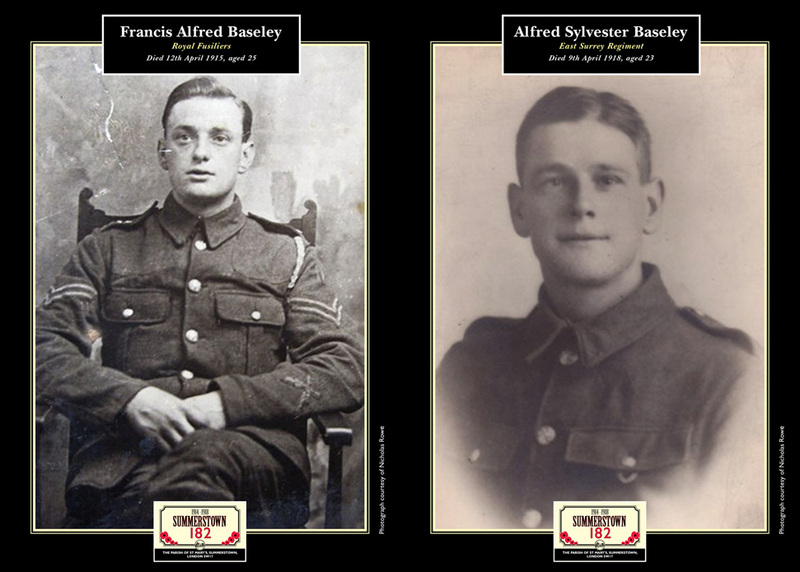 Alfred Baseley’s records do survive so a much clearer picture emerges of his war service. He signed up almost exactly a year to the day after war broke out, on 3rd August 1915 at Wandsworth. He was five foot nine and in good shape. Of course that would all change and his records indicate that he was hospitalised with an ulcer in April 1917, so would consequently have missed the capture of Villers-Plouich. It was here that Tiny Ted won his VC and 18 year old Alfred Quenzer ended up in Fifteen Ravine Cemetery. He returned to the fray for the battle of Cambrai and the capture of Bourlon Wood. In the Spring of 1918 the Germans launched their massive Kaiserschlacht offensive. The battalion were fortunately behind the lines at Wailly on 21st March when the war diary notes ‘Hostile bombardment on Corps front at 5am lasting all morning’. The following days comment noted that the Germans had attacked on a 60 mile front and were rapidly coming towards them. It was time to retreat. On 26th March ‘Enemy seen advancing in large numbers over crests and ridges beyond Mory village.’ It must have been a terrifying prospect for the young man from Alston Road. After an initial skirmish at Ervillers there was a brief respite and it seemed the worst of the onslaught might have been avoided, there was even time for baths at Sailly. 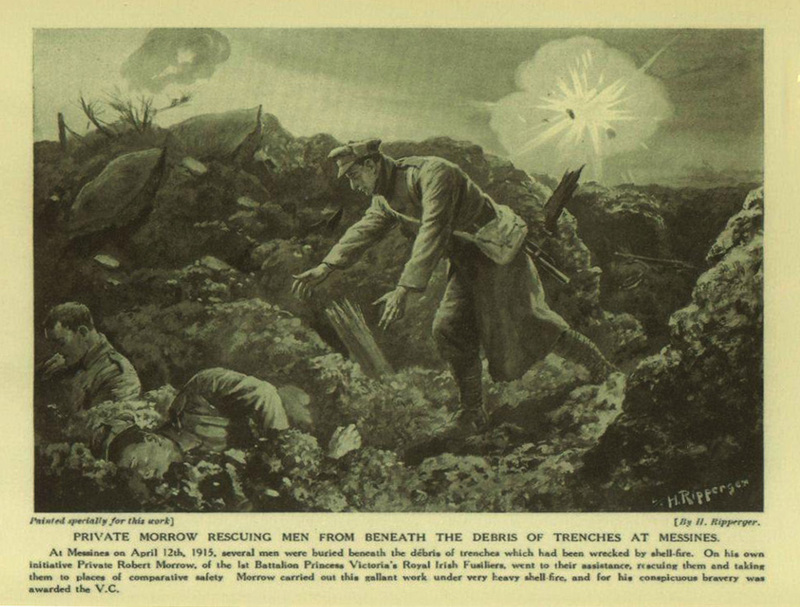 On the 6th April they were back in the trenches suffering only light shelling over the next few days. On the 8th it was noted ‘Enemy was exceptionally quiet.’ Famous last words of course. On the 9th April, all hell broke loose. 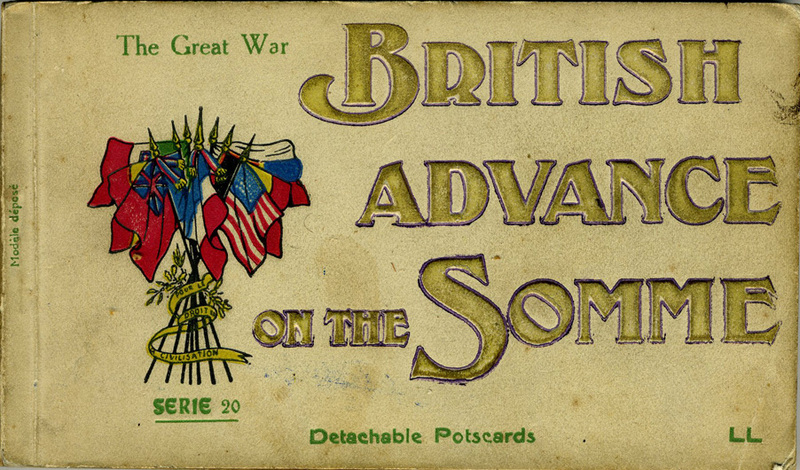 ‘At 415 am, enemy opened intense bombardment on our front and support line. He also heavily shelled back areas. The Battalion immediately ‘stood to’ but the enemy broke through the Portuguese on our right flank and the battalion was surrounded.’ Some managed to fight their way out but later that day, 544 men were listed as killed, missing or wounded. Alfred Sylvester Baseley was one of them. On 10th the diary notes that the remnants of the Battalion moved to Steenwerck at noon. The cemetery there is where Alfred Baseley is buried. His file contains a note from his mother who had to wait until at least December before finding out where he lay. We also had problems finding his grave. On a recent visit to this area, which is very close to the Franco-Belgian border we tried to locate the cemetery. We were relying on good old-fashioned technology, a road-map, street signs and asking the locals for directions. None of this worked and after a fifth circuit of the village we gave up and headed across the border for Messines. Indeed the Baseleys proved entirely elusive that day because we ran out of time at the Menin Gate and couldn’t locate Francis. Anyway, we are indebted to Nicholas Rowe for shedding some light and allowing us to see these photographs. A final thought from Alston Road. Nicholas’ great grandmother passed away in 1934. He had heard that Ellen Mary Baseley would never move away from 18 Alston Road. Because Francis had no known grave, she always had the feeling that her eldest son might return, perhaps having been captured rather than killed.